Thinking of advertising on our website or online community? We would love to hear from you. Please email: info@destinationidomag.com to request rates and so we can put you in touch with the right advertising manager to suit your needs. You can also call our toll-free number: 866-359-9855 or click on the advertise link in the footer of this webpage. We love hearing feedback from our readers! 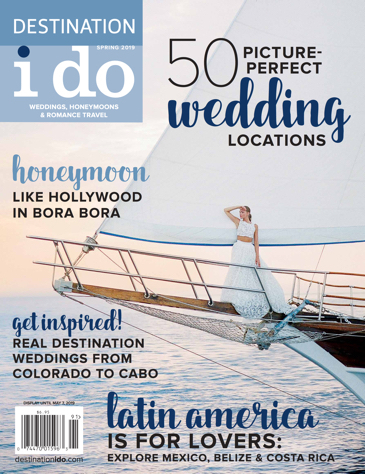 Send us your thoughts on how you used our magazine/website in your planning process or send us your destination wedding story. Please be sure to include your wedding location and attach images from your wedding. 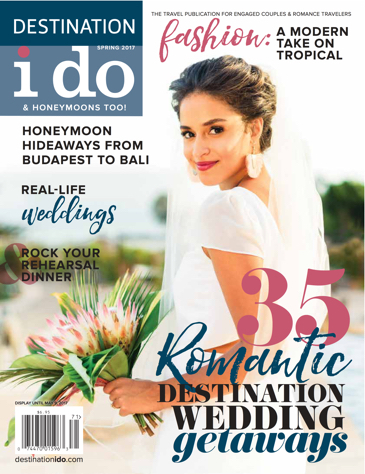 For more information on submitting your wedding, visit our submission guidelines page or email us at info@destinationidomag.com. We may feature your story in an upcoming issue!